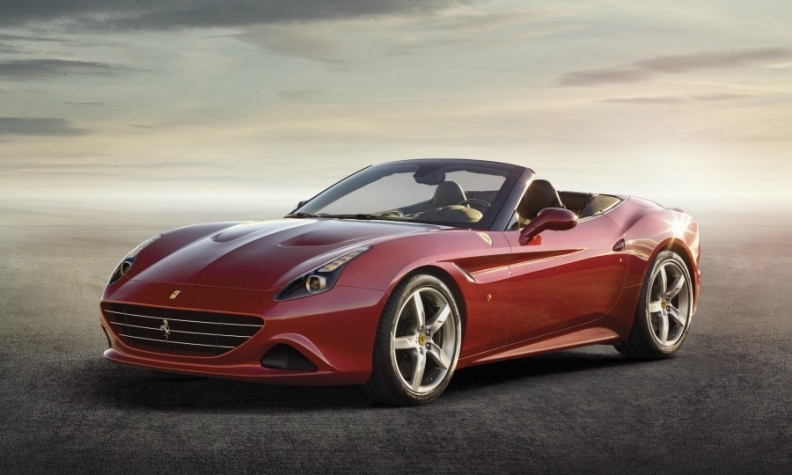 Booming property prices have lifted sales of cars such as the Ferrari California T, shown, in Australia. SYDNEY -- Ferrari and Porsche are among automakers benefiting from a booming Australian car market. Sales of new vehicles in Australia increased 3.8 percent to a record to 1.16 million last year, helped by a property boom. Sales of Ferrari cars rose by 48 percent to 167 sales in 2015, while Porsche sales jumped to 4,090 from 2,812, according to a report released Wednesday by the Federal Chamber of Automotive Industries in Australia (FCAI). Demand for Audi, BMW and Mercedes-Benz brands also surged. The Reserve Bank of Australia, which has cut interest rates to record lows, last year found a strong link between home-price increases and rising car sales. Sydney house values climbed 12 percent last year, extending a three-year boom that has pushed the median price in Australia's largest city to A$935,000 ($670,000), according to CoreLogic. "People are looking at the value of their home," said Craig James, a senior economist at the securities unit of Commonwealth Bank of Australia. "Home prices have been recording good gains, so they've seen their wealth levels rising. That's also rationalizing their choice in going a little bit upmarket [in vehicle purchases]." "Property has been a driving force for us," said Herbert Appleroth, CEO of Ferrari for Australia and New Zealand. "It's people who are investing, it's the developers, it's the specialized trades who are also benefiting." A typical Ferrari costs between A$500,000 and A$550,000 and about 60 percent of last year's buyers had never owned one before, Appleroth said. Low borrowing costs have put Ferraris within reach of more people, he added. Toyota was the top selling brand in Australia last year with 17.8 percent of the market, followed by Mazda with 9.9 percent, Holden with 8.9 percent, Hyundai with 8.8 percent and Mitsubishi with 6.2 percent. Australia’s best-selling car in 2015 was the Toyota Corolla with 42,073 sales, FCAI said in a release.